Whatever are your shopping preferences, with Kakdoma Barcelona you will buy your perfect clothes, accessories and other objects. We pursue the aim of organizing your unique, personalized shopping experience. Apart from the individual shopping tours we can provide you with the invitations to the private fashion shows, new boutiques inauguration and demonstrations of the new collections of the best world brands and other exceptional fashion events. Save your time by ordering an individual shopping tour with a personal shopper. You will enter the most luxury boutiques of Barcelona in the street Passeig de Gracia. Your assistant from Kakdoma Barcelona will take into account all your preferences and analize what you would like to buy. He will arrange your perfect shopping route where will be included not only the best shops of Passeig de Gracia and Diagonal, but also the original local shops in Borne, Gracia, as well as the shopping centres El Corte Inglés, Illa Diagonal and Pedralbes. Thanks to the service of personal driver, you will move from shop to shop fast and securely and your personal assistant will lead this itinerary and can change it if you would like him to do it. You will eat in a good restaurant, have a rest and recover the strength. The aim of the individual shopping tours by Kakdoma Barcelona is effective shopping and getting pleasure from the time spent with our team. 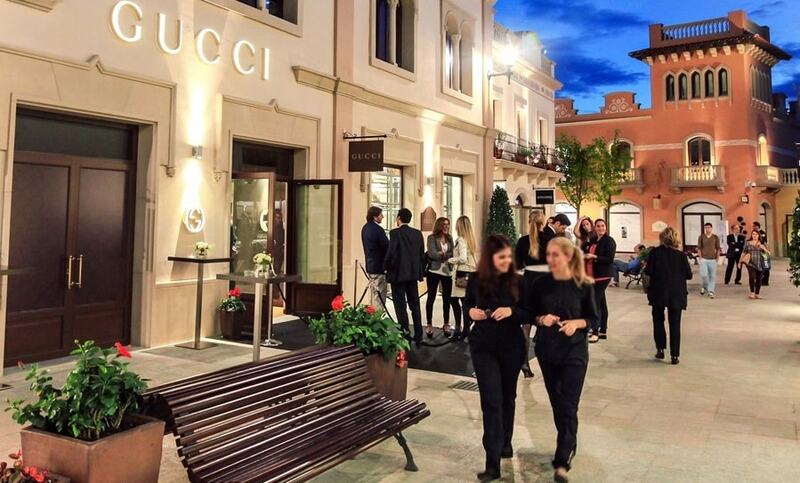 Discover the world of luxury at La Roca Village, the region’s ultimate shopping destination, just 40 minutes from Barcelona, and home to more than 130 fashion and lifestyle boutiques offering savings of up to 60% on the recommended retail price, all year round. The personal assistant from Kakdoma Barcelona will organize your perfect shopping day! Get there by comfortable car, luxury minivan or helicopter and start your shopping day with a pleasant breakfast in La Roca Village – enjoy the special moment before the boutiques’ opening. Explore the spacious outdoor mall independently or let be guided by the personal shopper and browse the collections at some 100 luxury boutiques, discovering mens’ and womens’ clothing, sportswear, accessories, cosmetics and more. The village boasts a range of international brands including Adolfo Dominguez, Calvin Klein, Escada, Gucci, La Perla, Furla and others. We want you to enjoy effortless shopping, so your personal shopper will care about your purchases and organise a Hands-free shopping. The Style Outlets Viladecans is situated 15 minutes away from Barcelona. Personal assistant from Kakdoma Barcelona will care about every detail and organize the most perfect shopping experience for you. The brands like Liu Jo, Timberland, Pedro Miralles, etc. are waiting for you there. The personal shopper from Kakdoma Barcelona will help you to find your perfect things or organise the purchase of a product you liked even if they don’t have your size in the shop. You can also try all the possible best quality chocolate types and tastes and buy tasty presents for your friends and beloved ones in the Swiss shop Lindt. Your tailor-made individual shopping tour to The Style Outlets Viladecans with us will become a real shopping oasis. Enjoy it at most! Andorra is famous for its beautiful scenery, ski resorts, and, of course, excellent shopping. Our team can arrange you bus tickets, a transfer service (helicopter transfer is possible) or book a room in a beautiful hotel with a wonderful view of the mountains. We will be in touch throughout the visit, keenly attending all your needs and emerging questions.